There is a wide variety of speakers and vendors at Through the Veil. In all honesty, I think Michelle Griffin, owner of Through the Veil Productions, LLC, should take advantage of this and wordsmith the subtitle more. I cannot emphasize the scope of the speakers: You would be hard-pressed to get this session roster with full-on access. I’m still giddy at all of the people I got one-on-one time with. But I digress. I had the pleasure of meeting and chatting with Chase Kloetzke, Ufologist/author/MUFON member. I immediately liked Chase. She shatters all stereotypical perceptions on what a U.F.O. researcher/investigator looks like. Quickly peruse her “About” section on her Website, http://www.chasekloetzke.com/home.html, and you will see that she is well-educated and fully capable of leading an investigation. Currently, Chase is the Deputy Director of Investigations and Special Case Manager at M.U.F.O.N. (Mutual U.F.O. Network). And trust me: Chase is passionate. Chase enthusiastically discussed another guest speaker Thom Reed and his case. Earlier this year, Thom Reed’s encounters were deemed “historically significant and true” by the Great Barrington Historical Society and Museum, http://www.tomreed.info/home.html. I’ll be blogging about Thom later this week. What I really liked about Chase was the way she discussed the Reed family’s case. She didn’t just say, “They encountered aliens. Believe it because I said so.” Instead, Chase ticked off the amount of evidence collected in this investigation. There were eyewitness reports. There are a lot of documents. There were polygraphs administered. There’s a ton here, but more on that later this week. Chase’s enthusiasm for Thom’s case was contagious. Chase has authored/co-authored two books; she hosts the Fate Magazine Radio show, which airs every Sunday evening at 8 pm EST; and she appears at conferences around the country. She speaks on a vast array of topics. One in particular piqued my interest. Chase discussed a type of early warning system created to alert people prone to frequent encounters when a possible encounter will take place. I’m fascinated by this. (Note: I don’t believe that I’ve ever encountered alien life forms; however, I do believe in the possibility of extraterrestrial life.) I want to know more about this. Hopefully, I will. Stay tuned for an announcement on when Chase will be on Archer Paranormal Radio, www.wlor.net. The 7th Annual Through the Veil (TTV) event was this past weekend in Atlanta, Georgia. This was my first time attending. I loved every minute of it! TTV is a premiere event where attendees have intimate access to incredible speakers. The event focuses on spirituality, metaphysics, and the supernatural. Where to begin? I have no earthly idea where to start. Therefore, I will break my blog into smaller posts. The API Gals had a vendor table in order to share production footage and promotional material for True Ghost Stories, debuting on ROKU in September. Even though Lisa and I had a table, we were able to pop into sessions. I’ve never had so much access to a wide array of people in the industry. This year’s keynote speaker was Larry Flaxman. Prior to his talk, Larry stopped by our table to say “Hi” and chit-chat. Beforehand, I thought Larry was an accomplished author. I’ve since appended my opinion. Larry is an all-around cool—like COOL—guy. He spent the night before handing out 100 McDonald’s hamburgers at area homeless shelters. Pretty remarkable! What a great role model! 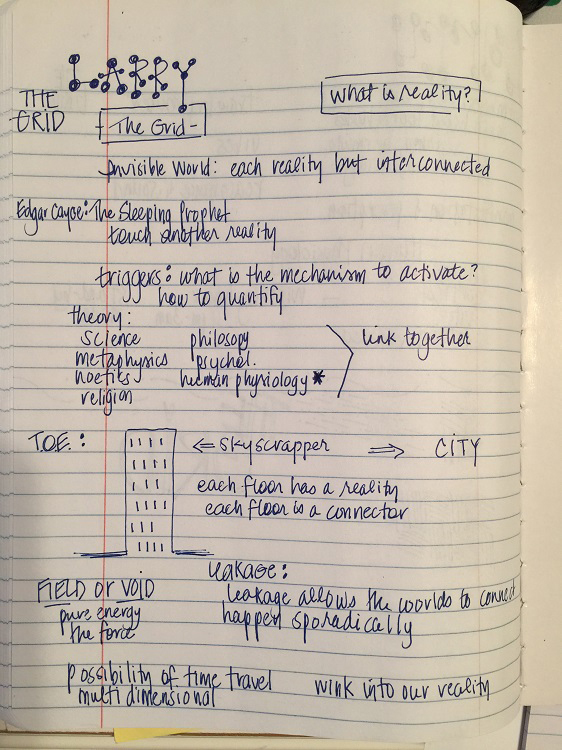 The next day, I attended Larry’s session “The Grid: Exploring the Hidden Infrastructure of Reality.” Wow. Just wow. I took copious notes. Well, sort of. Most of his talk was above my head but just within reach. I need to read his book (entitled the same), co-written with Marie D. Jones. I’ve attached one page of my notes. Basically, our reality is like one floor of a skyscraper. Each floor has a different reality. Each floor is a connector. In theory, we may be able to use a connector to reach another level of reality. This hypothetical skyscraper sits in a city with other skyscrapers. The realities are numerous. “Leakage” occurs when two worlds connect sporadically. What a paranormal investigator may think is a ghost, may be a person in another reality leaking through. I’ll have to end the discussion here until I’ve read the book. I certainly don’t want to misinterpret Larry’s words and misconstrue this remarkable theory. Look for a book review soon. So here’s your take-away: Through the Veil is an event you should attend! Not only do you mingle with incredible people, you sit in sessions that are fascinating. And the vendor tables were pretty darn awesome, too. There are only 3 more sleeps until the fabulous Through the Veil! The API Gals are chatting about the event this Thursday, June 4th at 8 PM EST on http://www.wlor.net. Find out who they want to see and what they want to listen in on. Stop by and visit our table this weekend! Did you know that 1L Lesia blogs as The Haunted Librarian? Check out her blog: www.thehauntedlibrarian.com. 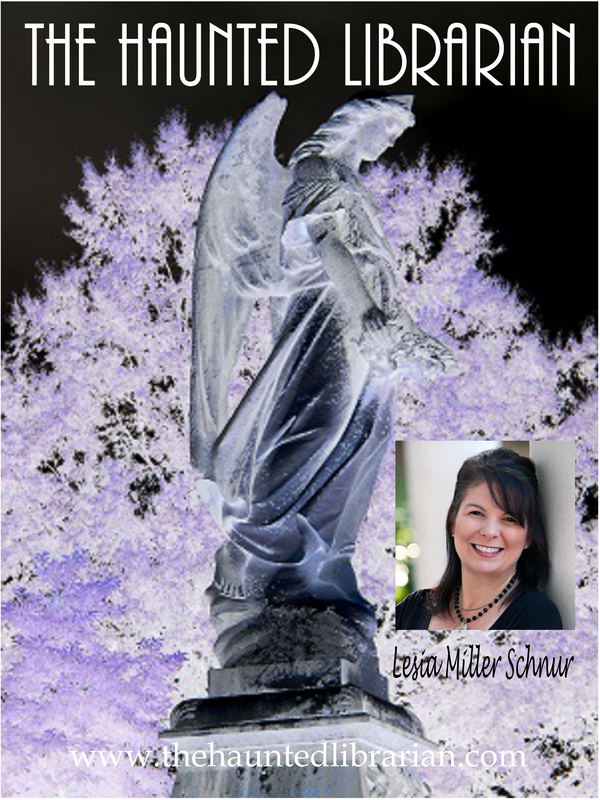 In addition to her blog, Lesia appears on Wes Forsythe’s Paranormal Filler and Paranormal I-Con radio shows. Check back for her next appearance. 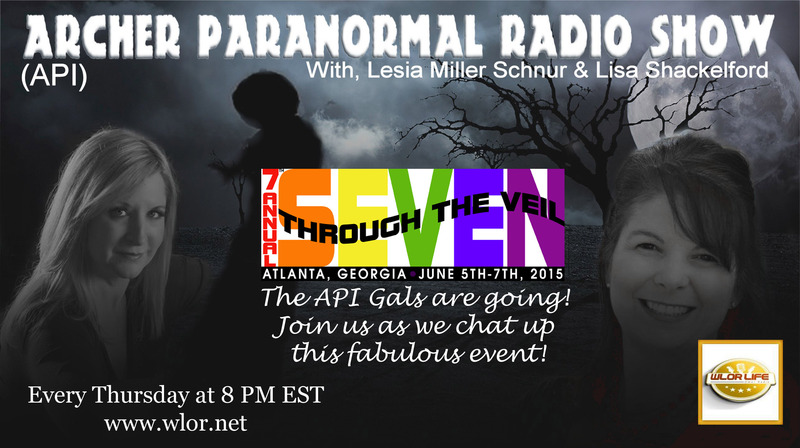 Visit the API Gals at Through the Veil, June 5-7, in Atlanta, Georgia. Paranormal friends, what do you think about real time, 2-way voice communication with the deceased? Is it possible? Is it already happening? The history of communication attempts is fascinating! (Google The Scole Experiment, World ITC .org, Kaunstantine Raudive…) Approximately 10 years ago a man named Frank Sumption designed something he called the Frank’s Box which worked with radio and random …volt generators. The idea being that Spirit can manipulate radio speech fragments to communicate with us. Since then, many variations exist but the overall design is similar. Researchers like Tim Woolworth have devoted a great amount of time to experimenting with devices like this. 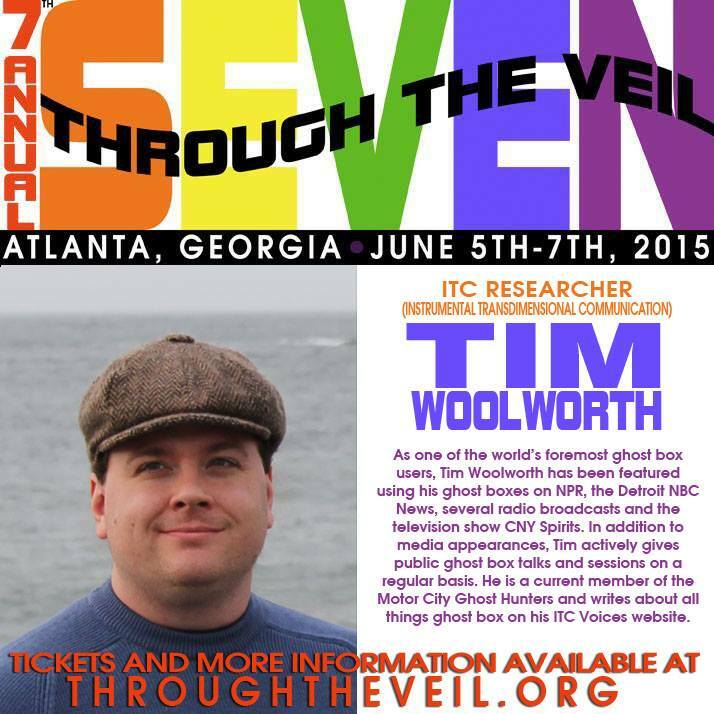 Tim will be with us at the 7th Annual Through The Veil discussing Ghost boxes and what the voices have revealed. The schedule is packed with special guest, fascinating sessions, and lots of vendors. Click here for the schedule, http://www.throughtheveil.org/2015-Schedule.html. Tickets are still available. Less than a month away. See you there! The API Gals are joining the True Ghost Stories family. Archer Paranormal Investigations represents Team Georgia for the upcoming series scheduled to debut on June 15th. The series follows 15 paranormal teams from the United States, Canada, and Europe as they investigate paranormal activity. The series is unique because nothing is scripted! The hour-long episodes showcase what investigations are truly like. Larry Overman, owner of the Crescent Mine where the incredibly popular Ghost Mine was filmed, created Tesla Wolf Media, which will produce the series. The series will be available on Roku and on Paranoia TV. Sherri Emily, founder of L.I.F.E. Omni Radio (www.wlor.net), joins as an executive producer. Nick Sarlo, founder of the paranormal team Shadow Hunters, directs. API’s first episode was filmed at a residential home built to resemble a medieval castle. The episode titled “Haunting at the Castle” premieres this summer. The API Gals are currently filming two additional episodes. Join the API Gals at Through the Veil, www.throughtheveil.org, June 5-7 in Atlanta, Georgia to see trailers and special video features. Tune in June 15th and watch some of the best paranormal teams doing what they love best: ghost hunting! Update: There will be a soft premiere in June and then a HUGE debut in September. API will be debuting in September. 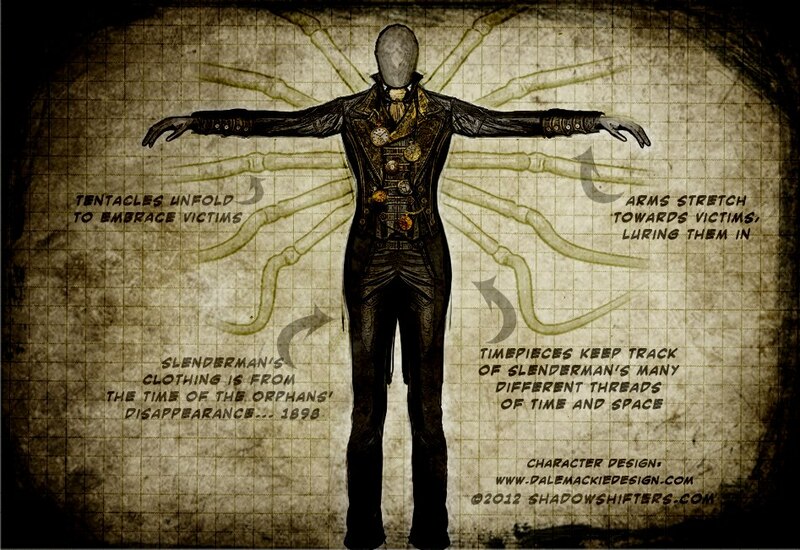 Who is “Slenderman?” And why did two 12-year-old girls attempt to kill their “friend” to gain his favor? Incredible–and outlandish–story this week on Archer Paranormal Radio. The API Gals are also discussing Through the Veil; Another Ghost Hunter Departs; and More Evidence from the Historic Windsor Hotel. 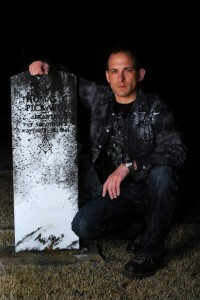 Tune in Thursday, June 5th at 7 pm EST on http://www.liveparanormal.com.